The south of France is a stunning part of the world with beautiful seaside towns, elegant people, and, of course, world class cuisine. However, France has a bit of a reputation for being a very difficult place to eat gluten free. When I lived in Lyon and asked for dishes 'sans gluten', the waiters often responded by saying they didn't understand my French! 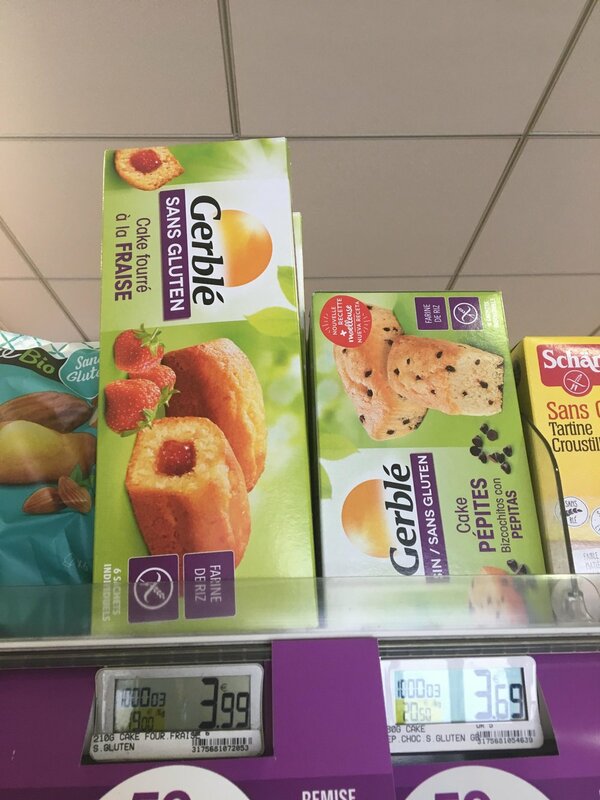 Just 3 years later on my trip to Nice, the French understanding of gluten free is hugely improved. I went to Nice with a rucksack full of gluten free snacks, prepared to find very little to eat, and came home with the same untouched bag of snacks! 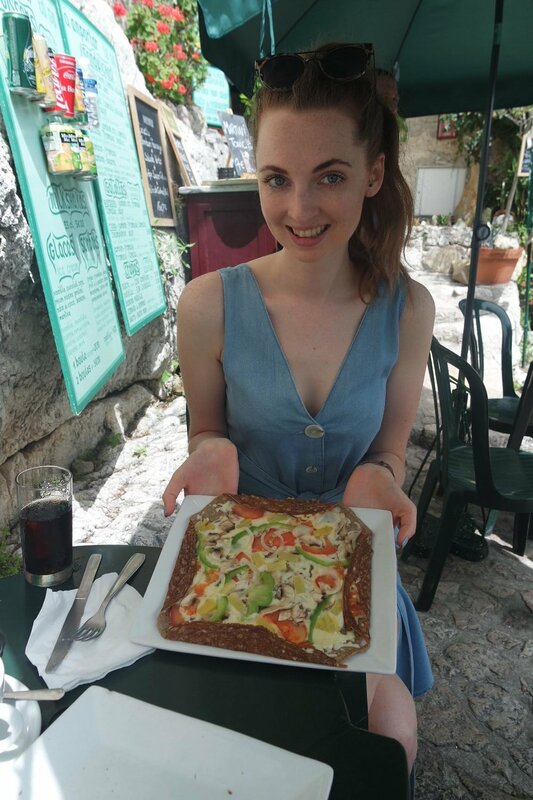 I would still recommend going to France prepared, as it's still very unlikely that you'll be able to walk into any restaurant and be presented with a gluten free menu. But hopefully this guide can give you plenty of ideas for some safe places to eat. ** means I'm not sure it's Coeliac safe. If you go, make sure to take a French allergy card (there's tons on google) to avoid cross contamination. Gigi Tavola is a must in Nice. 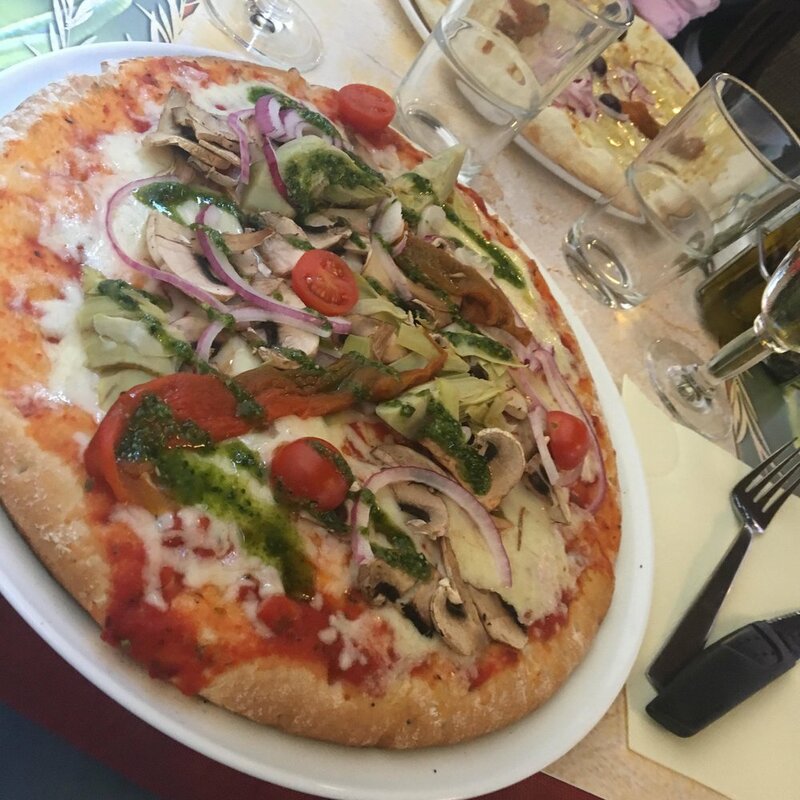 The restaurant is accredited by the French equivalent of Coeliac UK, and offers the most amazing gluten free pizza. There's lots of other gf dishes too like burgers (I had an amazing veggie burger) and desserts! The food is prepared in a separate area and comes on a different colour plate with a cherry tomato on top so you know it's gluten free. Plus, Gigi's is in the most beautiful location. You can sit outside, look at the stunning port, and watch the world go by. 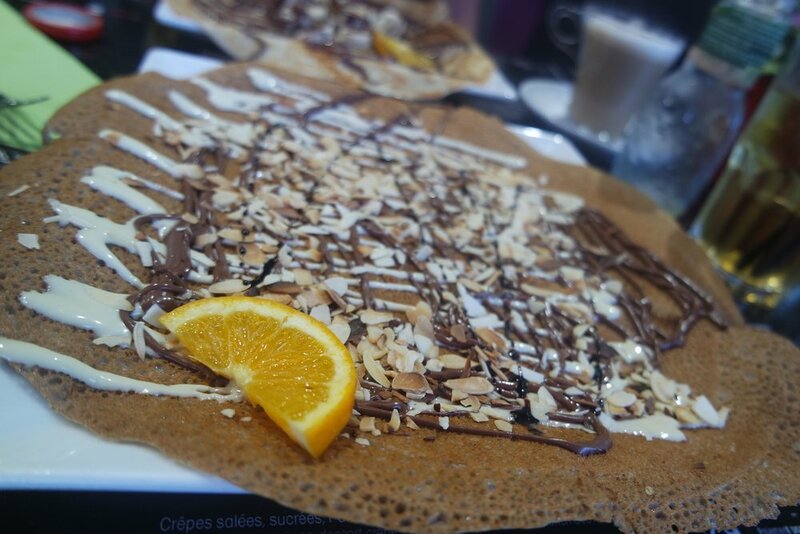 Situated in the old town amongst the flower market, Pop'o'thym has an enormous selection of both sweet and savoury crepes, and offers gluten free! I went for the 'Metisse' - nutella, white chocolate, and flaked almonds - which was absolute heaven. I've starred it as potentially not coeliac safe as all the crepes seemed to be prepared in the same place, but as they're made on hot plates you could definitely ask the staff to clean them for you. Failing that there are lots of options other than crepes to enjoy. 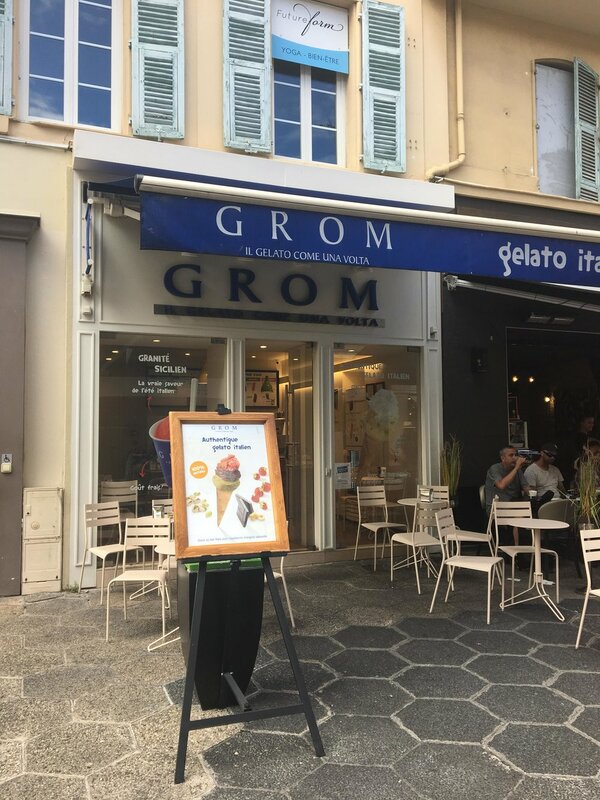 Vegan Gorilla is a 100% vegan and gluten free restaurant in the newer part of Nice. Unfortunately it's closed on Sundays so I couldn't go, but the menu looked great and it's fab to have an 100% coeliac safe restaurant available! Koko Green is another 100% vegan and gluten free restaurant hidden away in the old town. It has very awkward opening hours so make sure to check that it's open before you go! In spite of that, I thought it was great to find TWO coeliac safe and vegan restaurants in Nice. La Romarin is situated in a beautiful square in the old town, and has a full gluten free menu as well as a vegetarian menu. They offer gluten free pizza and tons of other options. I've starred it as not coeliac safe as the pizzas were all made in the same large pizza oven - however I didn't quiz them about their prep so be sure to ask. Some of the other options, like the risotto, may well be safe. If cross contamination isn't an issue for you I'd definitely recommend trying their pizza, it was delicious and such a treat to be able to enjoy dinner in such a beautiful square. I LOVE macarons, and the fact that they're naturally gluten free because they're made with almond flour makes them even better. 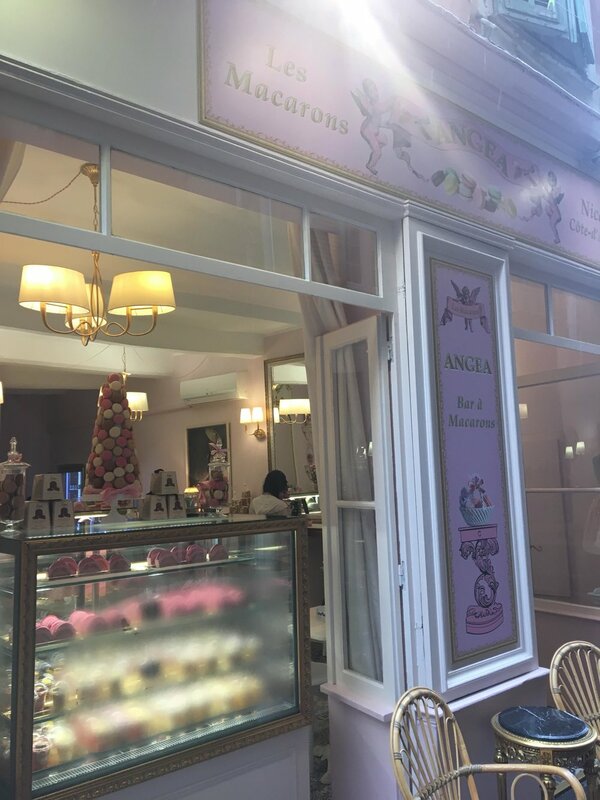 Macarons d'Angea is a gorgeous, 100% gluten free macaron shop in the old town. They offer amazing flavours such as white chocolate, grenadine, praline and raspberry. 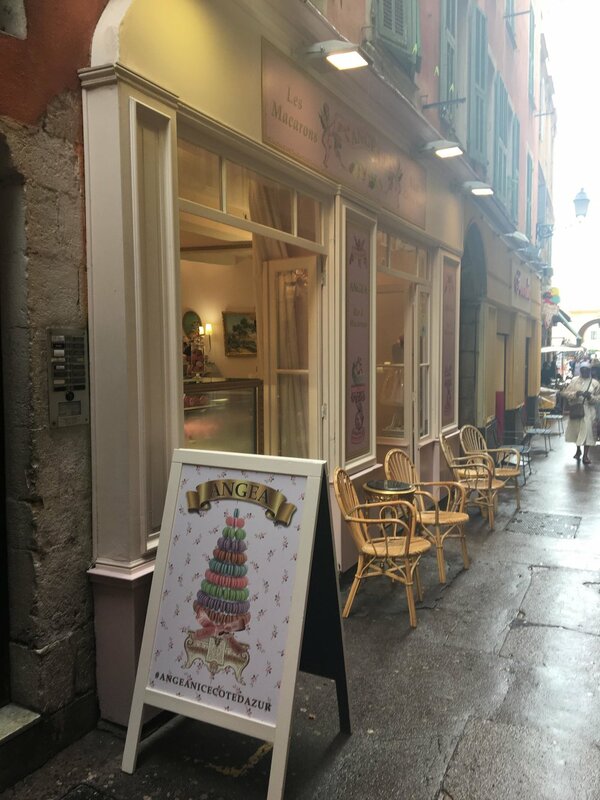 You can also buy giant macarons filled with ice cream! The supermarkets in Nice more or less all had gluten free sections. I found the best selection in Monoprix. 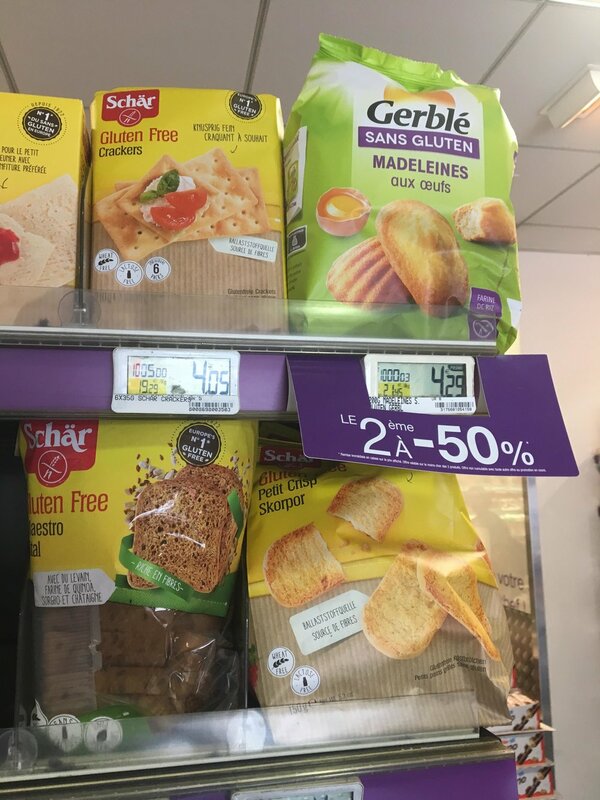 I would still recommend taking some gluten free dry goods with you, but you won't find it tough to find snacks if you pop into even the smaller supermarkets in Nice. Antibes is a gorgeous little seaside town which is well worth a visit, but even if it wasn't it would be worth going just to go to Choopy's! It's a pretty cafe down an equally pretty side street, with almost all of its dishes available gluten free. The staff's allergy knowledge is great and they asked if I was coeliac or just intolerant. Make sure to leave room for dessert, because all of their cupcakes are gluten free and the loveliest treats! If you're in Nice you must be sure to take a trip to Eze village (it's really easy by bus). The mountain side town has tons of pretty shops winding around the mountain and visiting really is like being in a fairytale. Check out my suggestion below, or if you're coeliac and looking for snacks the 'Casino' shop just near the bus stop has a small gluten free section. 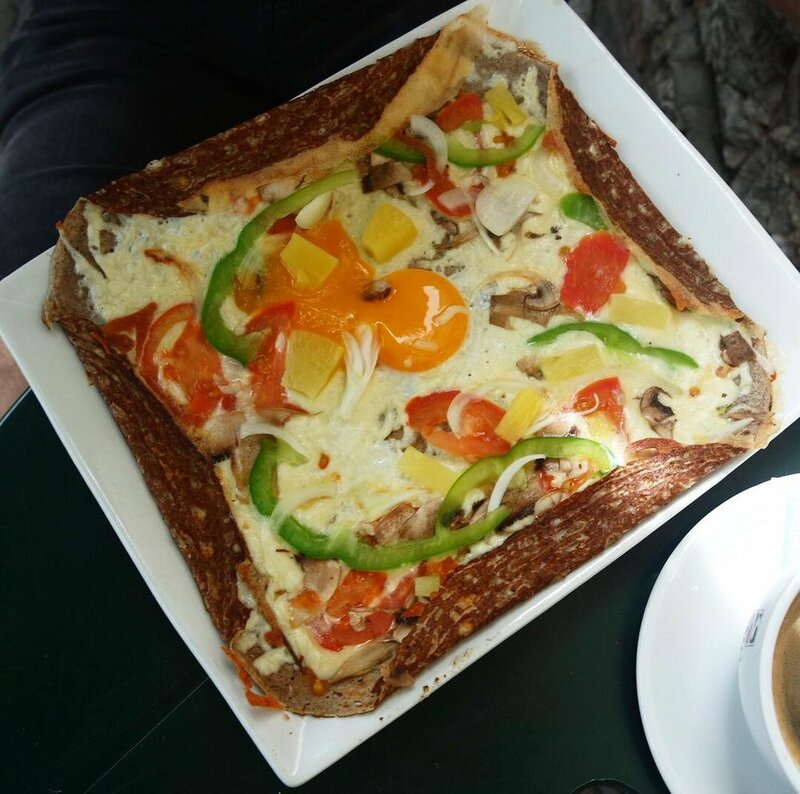 Creperie Cactus is in an idyllic location with views over the beautiful mountains. Their gallettes (savoury crepes) are made using buckwheat flour, so are gluten free! I went for 'Le Jardin' which was really delicious. The only reason I've starred them as potentially not coeliac safe is that I'm unsure if their sweet crepes contain wheat and are made in the same place. If you're coeliac and decide to go then be sure to ask.